You are proud of your business, and you want to show it to your community or tourists so that they can do business with you? Right now, you may or may not have a website. If you have a website, do you like it? If so, does it send you leads effectively? If not, does your website appear when you type relevant keywords in a search engine like Google? For example, if you look for: “Burlington lawyer”, “Burlington hotel” or any other important keyword concerning the service or the product that your business offers, do you appear on the first page? If not, your website is likely a liability instead of an asset for your business. You want to avoid your site to be another water drop in the web ocean where people are surfing. If you have other questions, that's normal. For more information, contact us at 1-888-501-0430 or complete our crawl form for a free video analysis of your website. Your website is like a store or a business card on the web. It won’t attract anybody if no traffic visits it. What is the best way to have traffic on your website? 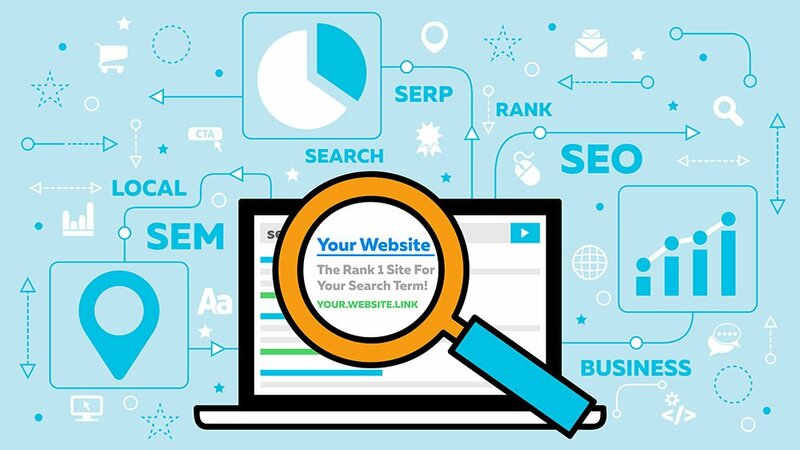 By being on top of search engines for specific keywords so that when a prospect is looking for those keywords, he or she will click on your website because it is very credible. In fact, research proved that 53 % of organic traffic goes to Google’s number one search result. Is it possible to influence Google so that your website will have more visibility and more credibility in its organic results? Yes, this service is called Search Engine Optimization. According to Linkedin, in 2017, Search Engine Optimization also known as SEO is one of the most valuable skills that companies are looking for their marketing. The reason is simple, this type of marketing avoids interruptions to the leads because they are looking for your product or service. If you want a free video analysis of your website compared with your most successful competitors, fill out this form and we will send you the video in a 3 working day period.